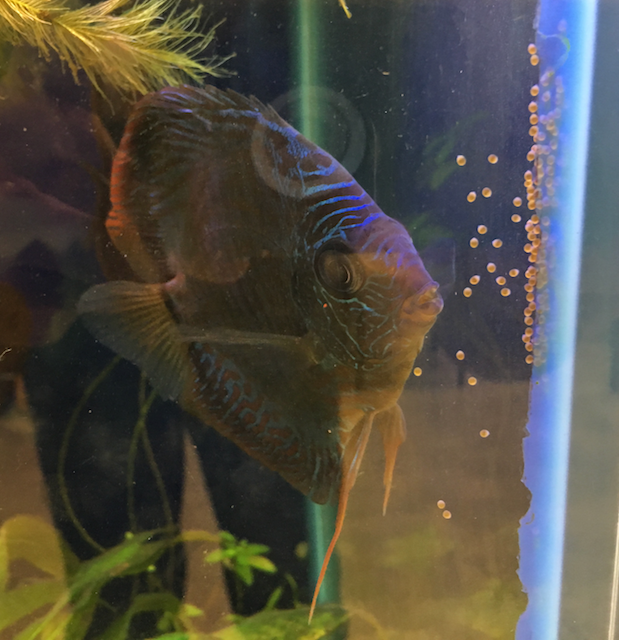 Yeah, saw the post in the for sale area about petco getting a shipment of good looking discus in. I'm almost tempted to swing out there today. Not sure about other folks here, but I find with my smart fish that have their own personalities, I grow attached to them over time. After a few years you know them, they know you. They come to the front when it's time to eat, take food out of your hand etc. They're a part of your routine and daily life. I don't like it when fish die generally, but losing them to a break-in/weather is an extra kick to the shin. The tank in my office (quarantine tank) was the coldest, but the Endlers in there are tough as nails. Found them all huddled near the light/heater, but looks like they all made it. Just let me know if you wanna pop in. I'll be there 12-8pm today. I'm sorry to hear about this. Wow I hope they catch the people/person that did this and hang them in the the city square!!! So after the break-in and loss of fish, I didn't quite have my heart in the display tank like before. Then I found out our office was going to be moving in a few months, so any work I put in would just be wasted, so I let the tank go for a while. We've been moved into the new building for a few weeks now, and today I was able to fill it with water, get the substrate in and add plants from my planted tank at home. I'll try and take some shots of the new setup and keep the thread updated again. Realize I haven't updated this page in ages, finally got the lights etc. going, think this is how it will stay for a while. I basically throw away a few cups worth of plants each day, fish are happy, levels are good. Last edited by esmith; 05-03-2018 at 06:27 AM. Don't throw plants away. I need more. Eventually got discus again in the tank. Finally got everything in the tank that I want in there, and I can say I'm done. Last edited by esmith; 03-11-2019 at 03:29 PM.